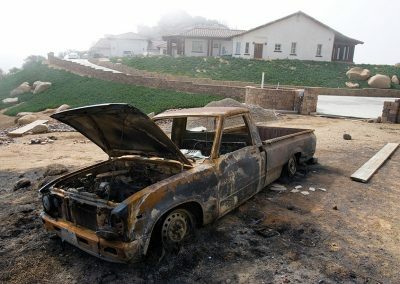 The Aledort residence in Rancho Bernardo, Calif., endured a literal baptism of fire during last fall’s firestorms near San Diego. The fires destroyed more than 2,000 homes, but the Aledort residence survived unscathed, thanks in large part to its fireproof ICF walls. In most areas of the United States, the greatest threat to homes and commercial structures is not hurricanes and tornadoes, but wildfire. The U.S. Fire Administration (http://www.usfa.dhs.gov) reports that fire kills more Americans than all natural disasters combined—averaging more than 3,700 people—plus another 20,000 injured—every year in the last decade. Direct property loss due to fires in 2006 is estimated at $11.3 billion. Fortunately, homes and buildings made from insulating concrete forms (ICFs) offer exceptional protection from the flames. Laboratory test have shown that while wood frame walls exposed to flames will collapse in an hour or less, ICF walls can withstand the intense heat for four hours or more. Field evidence supports this conclusion. Tony Ellsworth, owner of Ellsworth Bikes in Ramona, California, credits ICFs with saving his business from intense wildfires last fall. The walls of his high-end bicycle manufacturing facility are made from ICFs instead of traditional wood studs and sheet rock. The Witch Creek Fire, which tore through the San Diego region last October, is likely the worst natural disaster to ever hit that area. 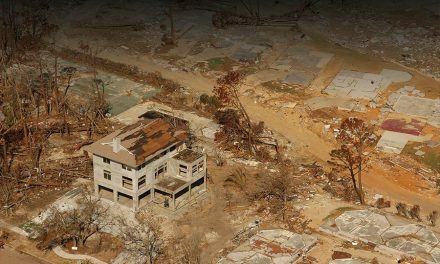 It forced more than half a million people from their homes and destroyed more than 2,000 residences. Ellsworth’s neighborhood was hit hard. “The flames came right up to the doorstep and completely surrounded the home. Then the winds changed, and the fire came back again,” says Ellsworth. Forced to evacuate during the worst of the fires, he was shocked by the devastation he returned to. Ellsworth was first introduced to ICFs when he began building in 2002, and he was so impressed that he became a form distributor. He found that neighbors’ interest in the material skyrocketed after the fires. “Almost immediately, people were asking me to tell them about this.” He organized a “fire survivor workshop” that met weekly to help them sort out rebuilding options, file claims with the insurance industry, and talk about ICFs. 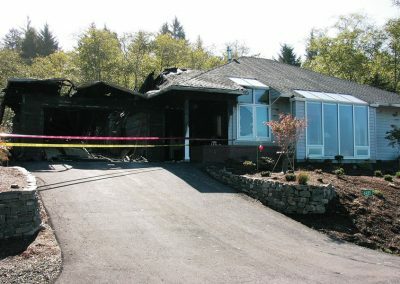 Built in a rural region of the Oregon Coast, a fire in the Anderson residence garage burned for 35 minutes before the fire department arrived, yet the damage was contained to the garage, and no personal belongings were lost. Pat Callahan’s home was also targeted by last fall’s fires. Even though the raging inferno burned right up to the walls—the intense heat melted the vinyl windows—the house survived largely unscathed. The 3,200-sq.-ft. home outside of Escondido is made from Nudura ICFs, with a 6” core of solid concrete in the exterior walls. “I swear by that type of construction,” Callahan says. The home had been completed barely 6 months when the fires came. It’s one of the few that survived. “Everything to the west is gone,” said Callahan, who evacuated when the flames approached. “The wind was incredible.” When the vinyl window frames melted, the glass collapsed inward, and the home suffered minor smoke damage. Otherwise, damage was minimal. 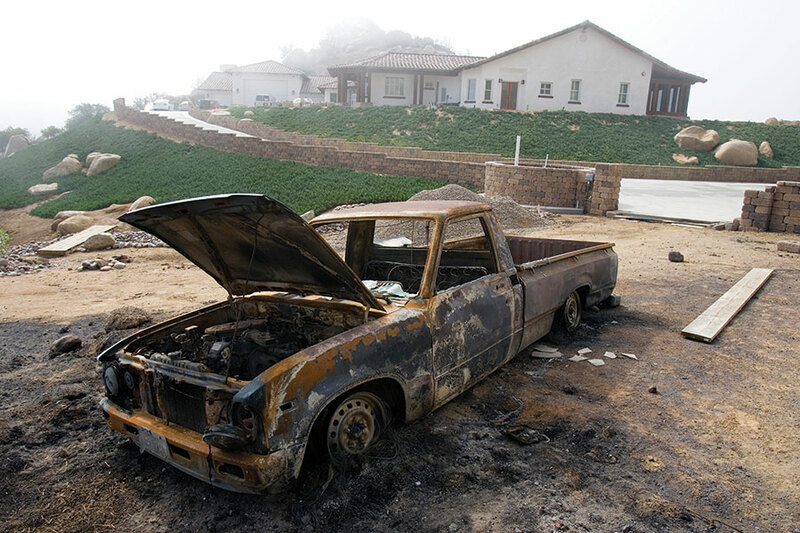 Five miles away in Rancho Bernardo, Lorraine Aledort waited out the fire in her ICF home. After years of construction, she and her husband had moved in just weeks before the fire. 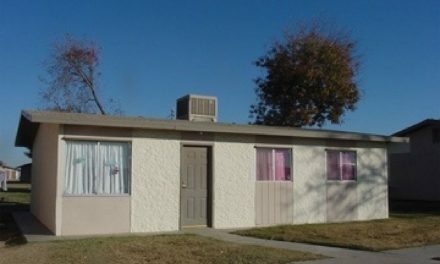 In addition to the ICF walls, Aledort incorporated a number of other fire-resistant building techniques. These include a concrete tile roof, aluminum frame windows, interior fire sprinklers, and large wooden beams that resist fire better than smaller ones. “My subs (subcontractors) called me the queen of overkill,” said Aledort. But the measures work. Surrounded by charred vegetation and ruined homes, the Aledort residence stands out like an oasis in a fire-scarred desert. “It was comforting to know that the home itself was going to be fire-resistant.” she says. George Easton an ICF designer and builder involved with the construction of both homes, says they came through with flying colors. I wouldn’t have minded staying inside,” he says. Bill Rentsch, owner of Rentsch Construction in Reno, Nev. had a similar close call. Rentsch and his wife Cindy had been living in their new home less than a year when a fast-moving wildfire swept through the area. Fueled by tinder-dry brush and pushed along by winds that gusted to 40 miles an hour, the whole area was soon engulfed in flames. Most of the neighbors were not so lucky. Fifteen homes in the neighborhood burned to the ground, leaving only the chimneys to mark the sites of what were once stick-built homes. The Rentsch’s had built with Nudura ICFs, using an 8-inch core for the walkout basement and 6-inch core for the rest of the house. 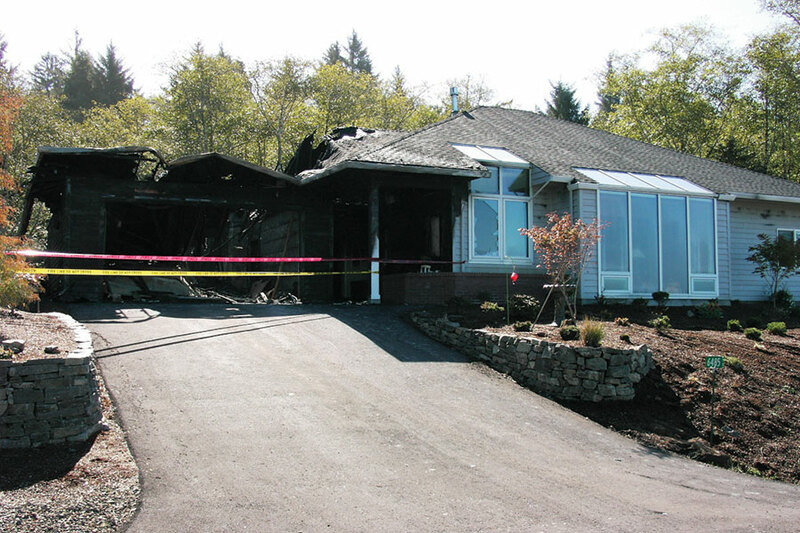 The fire-resistance and tightness of the exterior walls saved the home—and all their personal belongings inside. Of course, not all dangerous fires start outside the residence. Neal and Linda Anderson had a fire break out in their home just three months after they moved in. 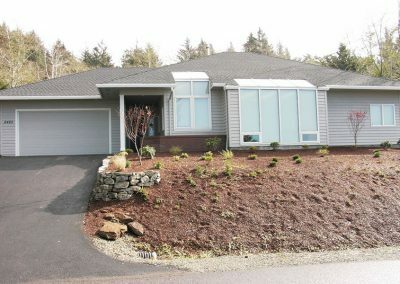 Built on a remote area of the Oregon coast, the home was everything the Anderson’s had hoped for, with a beautiful view of the beach and the abundant wildlife. 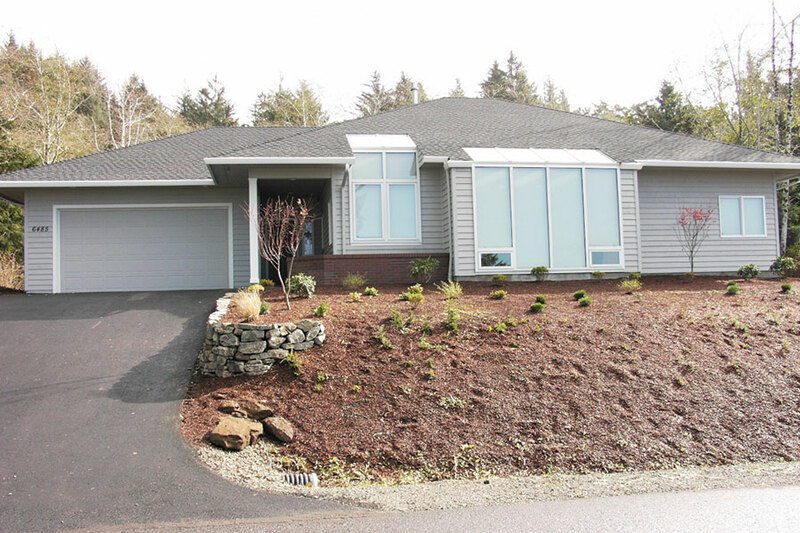 According to Mary Lou Fletcher, fire marshal in nearby Pacific City, hot ashes smoldering in a garage trashcan triggered the blaze, eventually spreading into the attic before it triggered a smoke detector. The family and neighbors stood in the driveway and watched it burn for 35 minutes before the volunteer fire department arrived with a truck large enough to tackle the blaze. Built from Reward ICFs, the home was not fire-proof, but it did resist the flames far better than an ordinary house would. 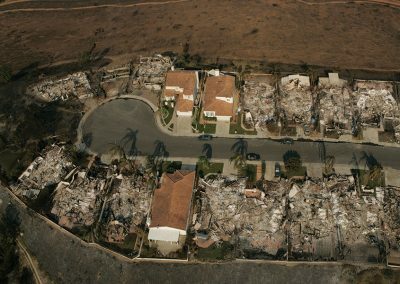 In this aerial photo of a fire-devastated San Diego suburb, it’s easy to see the three houses on the street made of ICFs. Fire investigators in Kansas City, Kansas, say ICFs saved a home there when it was targeted by arsonists. were set to move into the Habitat for Humanity home someone threw a gasoline firebomb at it. Dennis Cranor, the local arson investigator, says that the damage was minimal compared to what it would have been with a wood frame house. Built from Arxx ICFs and sheathed in fiber-cement siding, there was virtually nothing flammable for the flames to ignite. When firefighters arrived, the burning gasoline and glass, spread 12 to 15 feet along the front porch of the house, was easily extinguished. Damage was limited to the plastic porch soffit, which had melted, and the front door, which the firefighters had kicked in to gain entry to the unoccupied house. There was no significant damage to the interior. “There was also some soot on the siding, but that wiped off pretty easily,” says Kelly Willoughby, executive director of Heartland Habitat for Humanity. Instead, repairs cost less than $500, according to Willoughby. Since the arson attempt, Heartland has constructed more than a dozen other ICF homes. “We are very proud of the quality of our ICF homes and continue to build as many possible,” she says. Insulating concrete forms resist fires in several ways. The most obvious is their structural concrete core that will not weaken, warp, twist, or burn regardless of the fire’s heat. In so-called “fire-wall” tests, ICF walls are subjected to continuous gas flames and temperatures of up to 2000°F for as long as 4 hours. All of the leading ICF brands took the heat without any sign of weakening. In contrast, wood frame walls typically collapse in an hour or less. Note that these tests were performed on monolithic, or “flat-wall ICFs, with no breaks in the concrete layer. Screen-grid ICFs have fire ratings of two hours or less. The concrete core also prevents fire by slowing the conduction of heat from one side of the wall to the other. In PCA fire tests, ICF wall segments did not allow enough heat through to start a fire on the cool side of the wall for 2-4 hours. Contrary to popular belief, the foam used in ICFs will not burn. It will melt if exposed to high heat, but it will not contribute any fuel to the fire. In fact, it is virtually “self-extinguishing,” thanks to a flame retardant all of the leading ICF manufacturers add to the EPS foam. 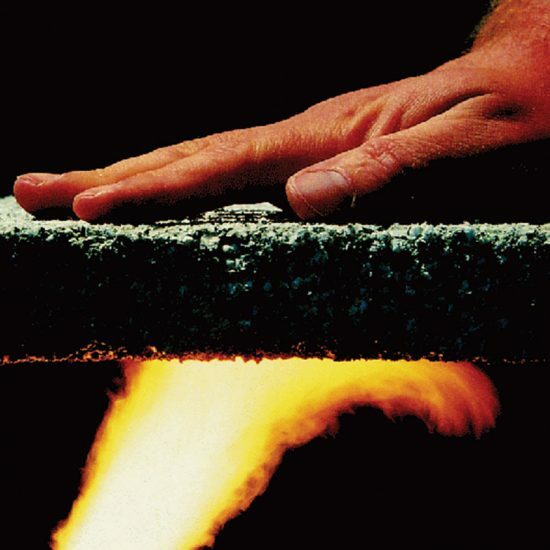 The PCA conducted a flame spread test, and found that ICF foam is five times better than wood. They used the “Steiner Tunnel Test” to compare the two materials. In the test, technicians lined a tunnel with the test material, ran a fire at one end, then measured how far the flames spread. “The flames travel about one-fifth as far down a tunnel lined with ICF foams as they spread down a tunnel lined with wood,” the PCA report states. The PCA also reports that smoke creaked by melting EPS is ‘no more toxic’ than burning wood, based on a review of existing studies conducted by The Southwest Research Institute. Studies by Reward Wall Systems report “less than half the toxins” of burning pine. Rancho Bernardo homeowner, used several, including sturdy windows and fire-resistant exterior finishes and roofing. 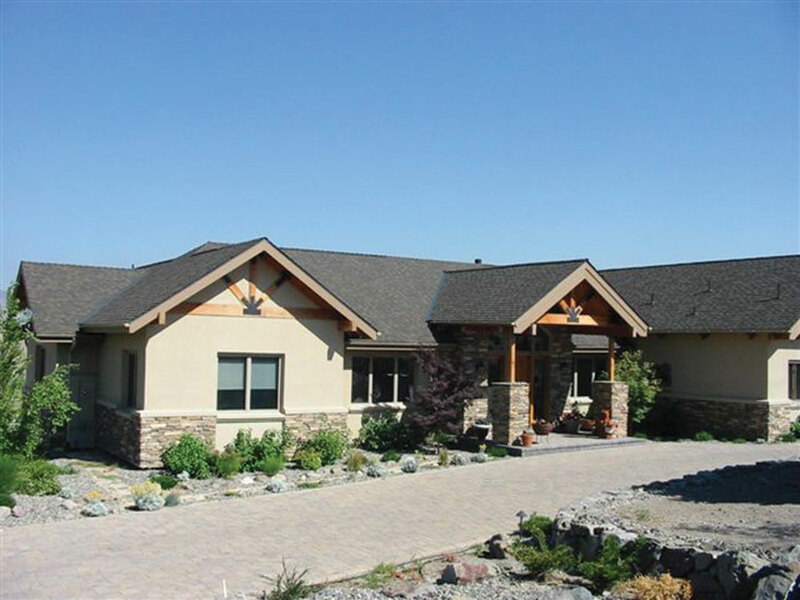 Fiber-cement siding, stucco, and masonry are a few popular fire-proof finish options. 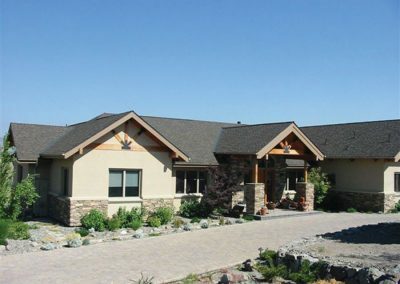 Landscaping can also play a major role in keeping your home safe from wildfire. On the inside, smoke detectors, automatic sprinkler systems, and steel wall studs can reduce the risk of interior fires getting out of control. Easton, a designer and builder near San Diego, says his business has skyrocketed since the catastrophic wildfires last fall. 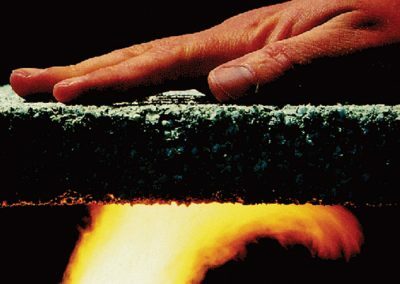 ICF’s fire resistance gives contractors and distributors a unique business advantage, offering homeowners unprecedented safety from fires and other natural disasters. Reward was the first company to earn a noncombustible building code approval. Several others, including Greenblock, Logix, and PolySteel have a fire rating of 4 hours or more on their 6” core ICF. Gray “composite” ICFs, such as Rastra and Amazon, are virtually fireproof even without cladding. Easton notes that in his area, concrete roofs are becoming increasingly popular. (See related story on p. 24) “We’re doing more and more homes with flat roofs,” he says. He built several homes this style on the nearby La Jolla Indian Reservation, where nearly 90% of the structures were destroyed by fire. “They told me there were embers coming down as big as hot cakes,” Easton says. Concrete roofs can also be sloped, and can be created using steel joists, EPS decking, or pre-cast concrete slabs. “If you build with ICFs,” he says,“ you don’t ever need to lose another house to fire. I am very impressed by these stories and photos of how concrete homes survived fires. My home was destroyed in the northern California wildfire last October, and I am now negotiating with my insurance company to try to obtain enough money to rebuild. 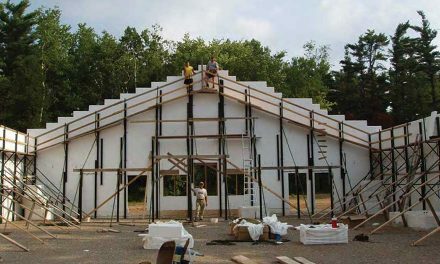 I definitely want to rebuild using ICF. Until one has personally experienced the ferocity of a wildfire, it is impossible to really bring home to the general public just how devestating this is. I certainly will never forget the night of October 9th, 2017 as I nearly died in the fire. 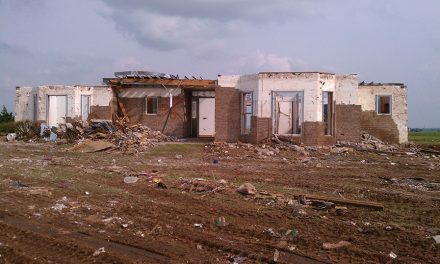 However, it may take a while for me to rebuild because I find I am “under-insured”, like so many other people. I am getting some useful legal advice from a non-profit, and will keep pushing for a just settlement from my Geico/Homesite insurance company until I exhaust all likely avenues of positive outcome. Then, I’ll have to see what I can afford. 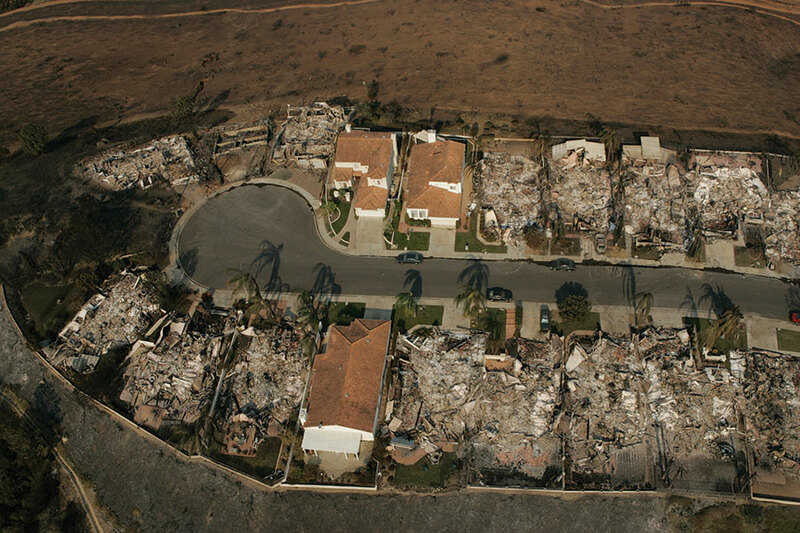 This ICF article with photos (from 2008) has been hugely instructive for me, and I’m sure will be of use to other fire survivors in California.